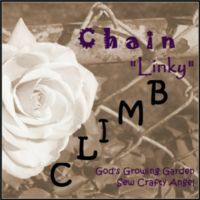 God's Growing Garden: Cohosts WANTED for the May 2015 #ChainLinkyCLIMB Blog Hop! Cohosts WANTED for the May 2015 #ChainLinkyCLIMB Blog Hop! We are looking for amazing Bloggers like you to cohost the CLIMB in May 2015 - please click the purple button below to sign up to cohost or click HERE!